An Italian carpaccio was first made from thinly sliced raw meat, lemon juice, olive oil, and Parmesan cheese. And there are many variations of this Italian raw food dish. 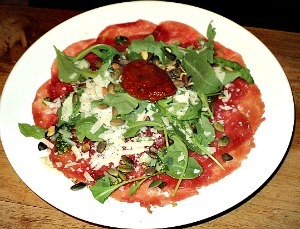 However, most of the time a meat carpaccio will come with arugula. 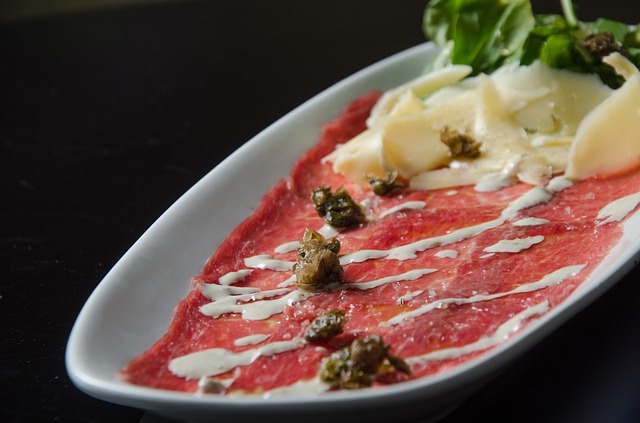 Italian carpaccio is a raw meat appetizer named after a Venetian artist who lived until 1525 in Italy. However, it was only decades ago that this dish was actually named after Carpaccio. Supposedly, it reminded the person eating at Harry's Bar (where carpaccio was invented) of Carpaccio's paintings - which contained a lot of red. Arugula is a strong tasting leafy green which is also known as rocket. Arugula is commonly mistaken for a type of lettuce, but its actually an herb. This Mediterranean herb is very popular in places like Italy because of its pungent taste. Arugula has a peppery and somewhat bitter taste. It is sometimes toned down by mixing it with other salad greens. 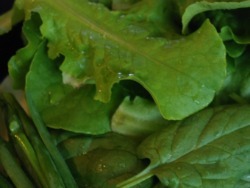 Arugula comes with many important minerals and vitamins. And it is related to the mustard family. Make sure to use the finest quality beef you can get your hands on when making beef carpaccio. It would be best to use 100% grass fed beef or even 100% grass fed bison over any type of factory farmed meats. 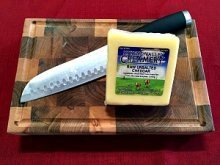 Check your favorite local grocery store or health food store for 100% grass fed meats and if you need to - order grass fed meats online. This recipe is a very simple and rustic type of Italian carpaccio recipe. It's so easy to make and simply delicious. 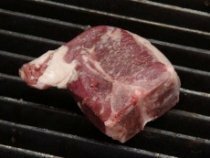 Freezing your meat can make it a little easier to thinly slice your meat. 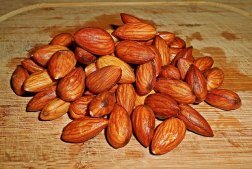 And if you freeze your meat for a certain period of time this can help to eliminate the threat of certain parasites - if this is a concern for you. However, this will negatively affect the meat's nutrients. Thinly slice the raw meat and pound the meat with your hands - you can also use a mallet. Then arrange the pounded meat on a plate. Finely chop the celery and add it to the salad mix. Dress salad with olive oil, seasoning, and lemon juice - toss. 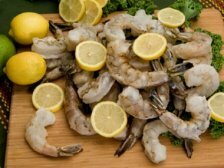 Then dress your raw meat with a little olive oil, lemon juice, and seasoning if desired - let sit for few seconds. Transfer a small handful of the mixed greens on top of the dressed meat. Then shave Parmigiano Reggiano cheese over the salad and add a few ripe olives. Enjoy! Tagliata di manzo is a warmed Italian carpaccio. And you can either warm the whole dish in the oven or use slightly cooked pieces of beef to make Tagliata di manzo. Grill a steak to rare or medium rare and then just thinly slice the steak to make a warmed Italian carpaccio recipe. You can use a 100% grass fed New York steak or a 100% grass fed beef tenderloin. Or whatever quality tender cut of meat you prefer to use to make Tagliata di manzo.